Canadian summers are hot and pools are a popular way to cool down. In some regions of Canada, every other backyard seems to have a pool of some sort, while in other parts, the short summer season and high costs stop homeowners from building a pool. 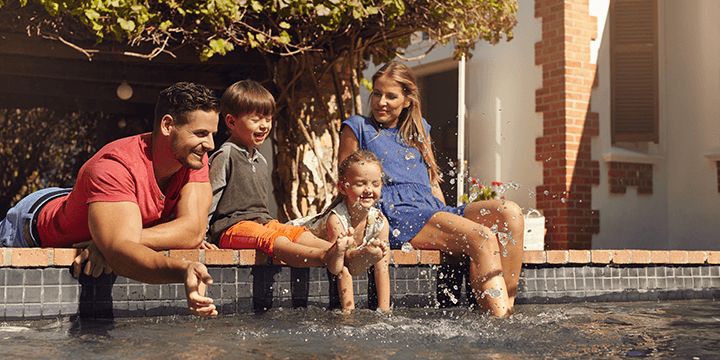 If you cannot live without a private place to swim in the summer, read on for information about how having a pool could affect your home insurance. Although expensive to install and maintain, having a pool is a luxury that many people seek. Because of their popularity, homes with pools sometimes sell for higher values than similar homes without pools, though this is not uniformly the case. Home insurance policies aren’t only about your house – when you insure your home, you are also insuring your property. Unfortunately for pool owners, the value of a home’s contents are generally calculated as a percentage of a home’s value. If your property value increases 10 per cent from $250,000 to $275,000 because you installed a pool, your contents value could also increase by 10 per cent. In addition, insurance companies will recommend specifically adding the cost of your pool to your home insurance policy in case it is damaged. A ripped pool liner can cost thousands of dollars to repair so you’ll want to be sure it’s included in your home insurance policy. Homeowners need to provide a safe environment for their visitors. Pool owners must go one step further and ensure that their pool area is also safe for visitors. To avoid an accident and accusations of negligence, a pool owner must maintain the pool and pool area by making sure the deck is clear of obstacles, testing the water pH levels regularly and securing the area from unwanted visitors. Although the pool is on your private property, it, like a trampoline, attracts children. Extra precaution is required to make sure that children don’t let themselves into your backyard and go swimming in your pool uninvited. To prevent this, you can install a fence or retractable pool cover. Unfortunately, if a neighbourhood child is injured in your unsecured pool, a defense of, “He wasn’t supposed to be there,” might not be strong enough to protect you. Although you can’t avoid the higher insurance costs associated with pool ownership, implementing safety procedures will help avoid potential accidents on your property. By lowering the risk of accidents, you decrease your chances of having to make a claim.